Leading a prayer service in front of China's Hong Kong liaison office, retired Cardinal Joseph Zen Ze-kiun of Hong Kong called on Beijing to end the persecution of Christians and allow religious freedom. "Facing all this persecution, we cannot take it for granted. We cannot stand idly. 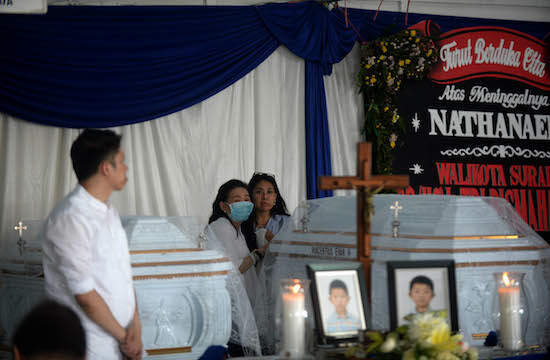 If we keep silent, we are accomplices," Cardinal Zen told a group of about 100 people who attended the April 24 service. On the same day Hong Kong's diocesan Justice and Peace Commission announced the conclusion of a petition campaign to ask Pope Francis to pray for religious freedom and an end to religious persecution in China. The campaign garnered 800 signatures from across the diocese. The petition asks the pope to urge the Chinese government to stop removing crosses from churches and to pray for two missing bishops. "We hope the pope can include the cross-removal campaign and the two missing bishops in his prayers on the prayer day," Or Yan-yan, project officer at JPC, told ucanews.com. 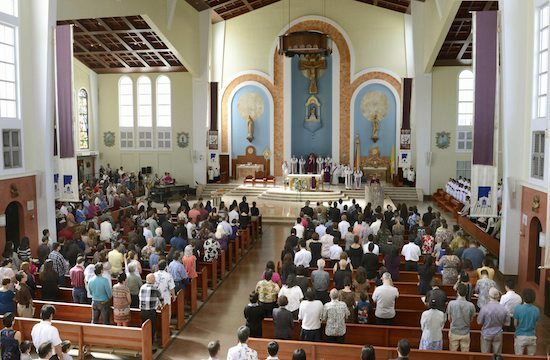 The World Day of Prayer for the Church in China, which falls on the feast of Our Lady Help of Christians, was established by Pope Benedict XVI in 2007. The petition notes that Zhejiang province authorities have been carrying out a large-scale cross-removal campaign, with at least 1,700 crosses being demolished since late 2013. Also, Catholics remained very concern on the fate of the two missing bishops from Hebei — Bishop James Su Zhimin, 84, of Baoding, and Bishop Cosmas Shi Enxiang, 95, of Yixian. "These two bishops … have been imprisoned for over half of their lives. 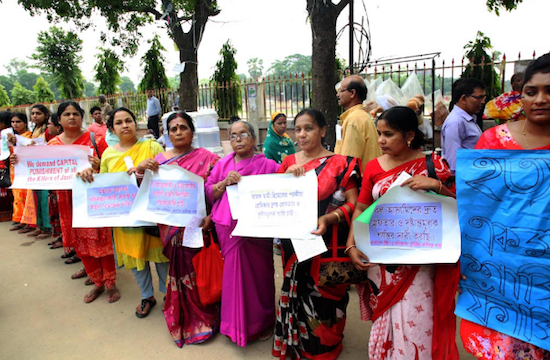 They have been forcibly disappeared for 18 and 15 years," the petition says. Unconfirmed reports suggest Bishop Shi died in detention in January 2015. His family seeks a proper burial if those reports are true, the petition said. The petitioners are asking Pope Francis "to inquire about the situation of these two bishops in your communications with the Chinese authorities."